Hi! This one is on my redbubble shop and it's doing very well indeed! I drew it traditionally and colored it in Photoshop. There are two types of firetail finches here: diamond and red-eared. 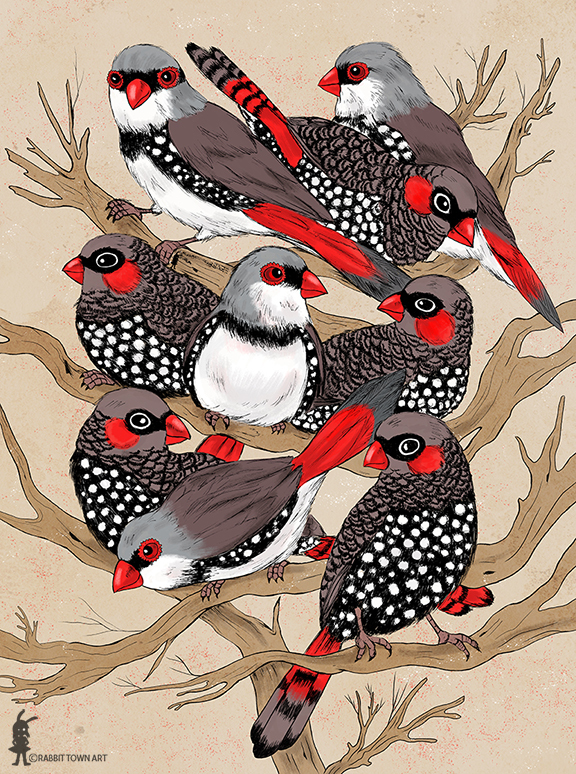 I love finches and there are plenty more to draw! I have a lot of options of birds and furry creatures that would look great on products and as a stand- alone illustration. Been enjoying exercising with my wii fit! It feels good to be doing some form of exercise again. I need to do more though since it's hardly intense like my old training regime.